In this article, learn the ways to allow Windows Updates download over Metered Connection in Windows 10 Fall Creators Update/V1709 or later. Many of you might be aware of the fact Windows 10 doesn’t automatically download Windows Updates on Metered Connections. Equivalently, if you don’t want automatic Windows Updates, you were suggested to set your network connection as Metered Connection. However, in some cases, users were facing trouble in getting auto updates, when Windows automatically assumes them on Metered Connection. With Windows 10 Fall Creators Update, Microsoft has resolved this problem. In Windows 10 V1709 or later, you can allow automatic updates to download even on Metered Connection. 1. Right click Start Button and select Settings. 2. In Settings app, navigate to Update & Security > Windows Update. Then under Update settings heading, click Advanced options. 3. Next, in the Advanced options screen, check mark or click on Enabling this policy will automatically download updates, even over metered connections (charges may apply) option. Thus, you’ve configured to download automatic Windows Updates over Metered Network. This setting will be in effect when you restart machine. 4. Finally, set the Value data to 1. Click OK and close Registry Editor and reboot to make changes effective. Note that, the registry manipulation will override the manual setting configured in Settings app. FYI: Setting Allow updates to be downloaded automatically over metered connections group policy under Computer Configuration > Administrative Templates > Windows Components > Windows Update to Enabled will do same job as the registry manipulation did. 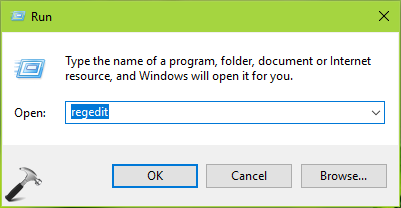 In this way, you can allowed Windows 10 to download automatic updates when you’re Metered Connection.